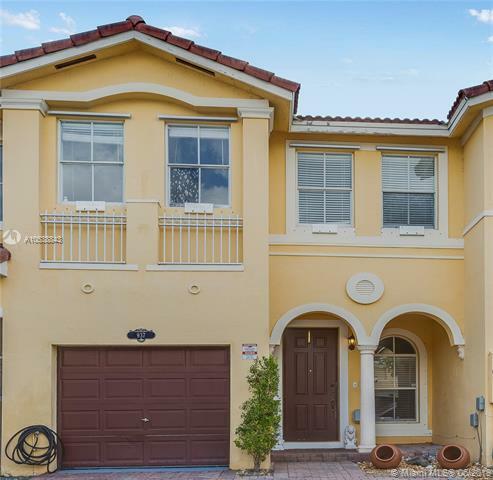 If you are looking a spacious townhouse that feels like a single home with big rooms, enough closets and parking, look no further 4 beds 2.5 baths centrally located close to 836, Dolphin and International Mall. New Air conditioner and water heater installed. Low association fee and electricity bill. EASY TO SHOW! Save 50% when selling a home in Miami, FL with our flat fee MLS listing service. ADDvantage Real Estate will help sell a home by listing homes for sale or for rent in any Florida MLS including Miami, Tampa, Jacksonville, and Orlando. We are the number one choice in Florida for Flat Fee MLS and full-service covering Miami, Miami-Dade county, and many more cities. ADDvantage is the only By Owner MLS listing service in Florida that guarantees all calls will be answered live by a MLS administrator from Mon-Thu 9AM-7PM, Fri 9AM-5:30PM, Sat 9AM-5PM, Sun 9AM-4PM and that all buyer leads from FSBO sites such as Homes.com, Realtor.com, Trulia, Zillow, and GetMoreOffers will be sent to the seller in real time by email. Call us anytime at 727-942-2929 or 1-877-232-9695.